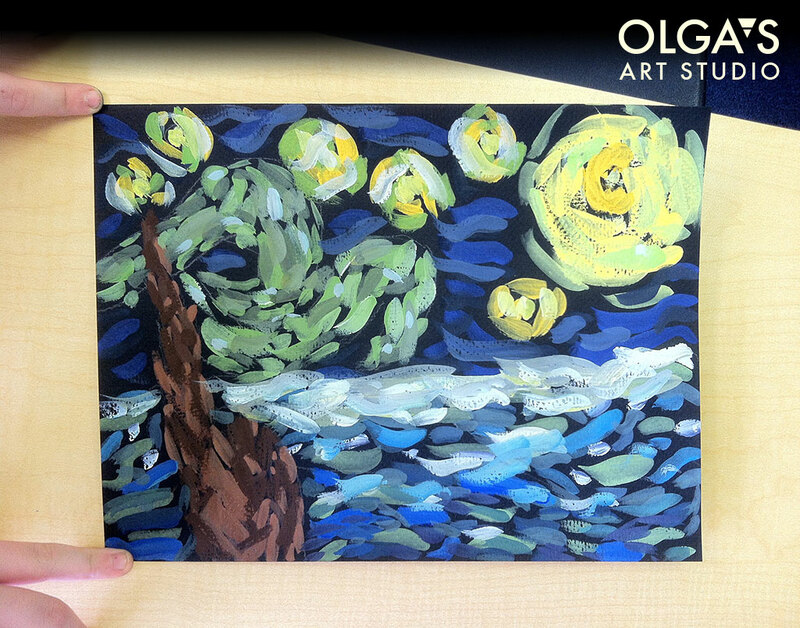 10 year old Farrin loved painting her own version of “The Starry Night” by Vincent Van Gogh. This is the first time she used gouache. This entry was posted in Children's Artworks on April 7, 2015 by Olga Rogachevskaya-Chu. My talented student Max just started discovering acrylics. This is his version of Monet’s painting “The Customhouse Officer’s Cabin at Varengeville”. Join us for Adult Spring Classes to discover your talents! 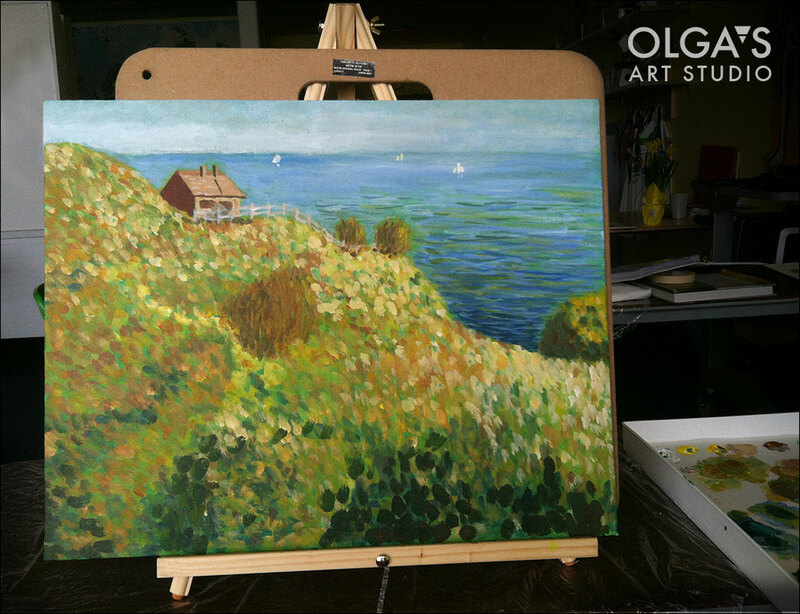 This entry was posted in Student Paintings and tagged adult art class, Claude Monet, painting in acrylics on April 7, 2015 by Olga Rogachevskaya-Chu.